Born and raised in Anchorage, Dr. Kufel was always intrigued by science and anatomy. He remembers witnessing the healing of his father’s severe low back disc herniation through chiropractic care. After that, he was called to the chiropractic profession. He was able to pursue both his undergraduate studies at the University of Alaska, Anchorage, and his Doctor of Chiropractic degree by working as a commercial fisherman in Bristol Bay and Cook Inlet. Dr. Kufel graduated from Palmer College of Chiropractic in San Jose, California, in 1991. During his senior year, he served as Student Body President of the International Chiropractor’s Association. He’s now a vibrant, caring doctor whose love and enthusiasm for people, quality chiropractic care and life in general, is contagious. “I believe that effective chiropractic care prevents spinal related disorders, disease and pain and stimulates your “inborn intelligence” to heal yourself.” Dr. Kufel’s dedicated to helping you achieve your optimal health potential and enhance your quality of life by experiencing the benefits of his gentle, personalized chiropractic care. Dr. Kufel is certified by the National Board of Chiropractic Examiners. He is also a member of the Alaska Chiropractic Society and the American Chiropractic Association. He keeps abreast of current clinical approaches by attending professional seminars and is a regular presenter to student groups. 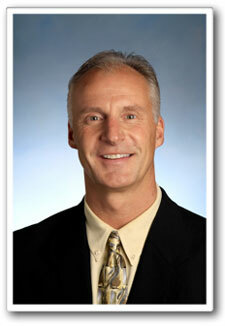 Dr. Kufel is an avid outdoorsman and enjoys sport fishing, hunting, mountain biking, climbing and skiing. He shares his love of Alaska, of nature, and of the outdoors with his children. A native of Alaska, Dr. Kufel is proud of his family and Alaskan heritage. His grandparents were “world class” mountain climbers. His grandmother was a member of the first all-female expedition which reached the top of Mt. McKinley in 1970. His father, Frank, now retired, is a former school administrator at Wendler Jr. High and at Steller Alternative School. His mother, Marianne Nieman, also retired, was instrumental in developing drug and alcohol treatment programs in the Anchorage community, including the Chemical Dependency Unit at Providence Hospital.